Simple home style meals never go out of fashion. I find it difficult to whip up a full fledged meal on weekdays after a 10+ hour work day. 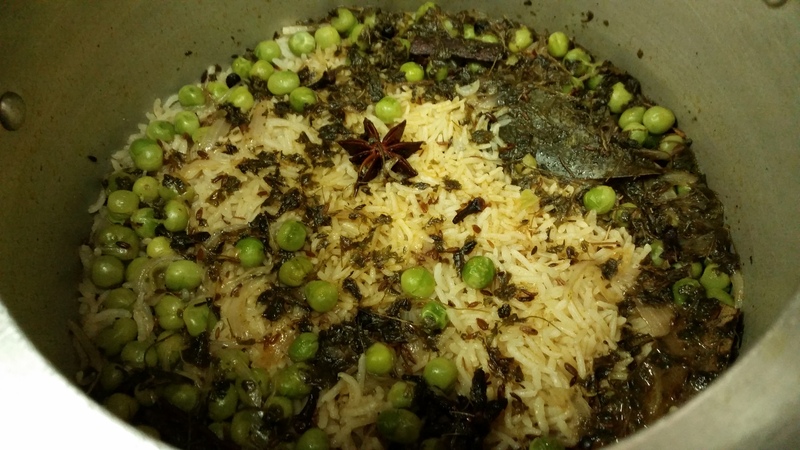 And on days like these when I would still want a home cooked meal with minimum effort, I make this peas pulao. My special touch is only the kasuri methi i.e. dried fenugreek leaves, I usually use the roasted ones. They tend to be less bitter and enhance the flavor. I put all ingredients in a pressure cooker and 15 minutes later can settle for dinner. Even on rushed mornings, I make this and brown bag it for lunch. 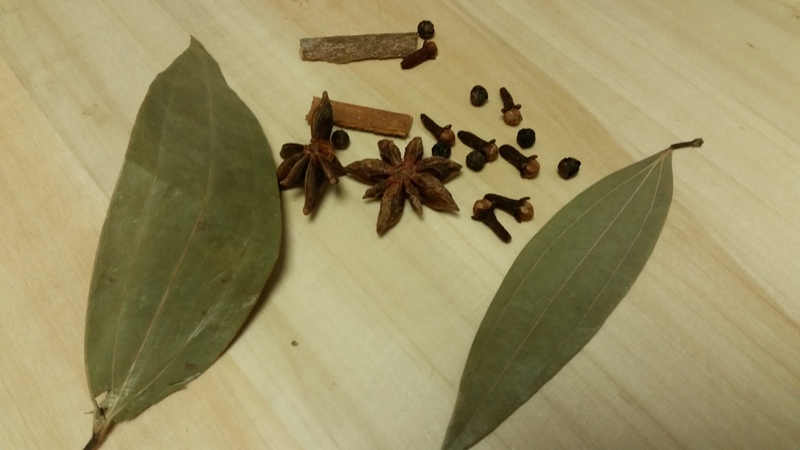 In a pressure cooker, heat some oil and add all dry spices on very low heat so that the spices do not burn. Let it sizzle for a while so as the oil absorbs the flavors. Add sized onions, cook until translucent. Add peas, salt and coriander powder and sauté well. Add soaked (optional) basmati rice to the mixture and mix it well for a few minutes. This help the flavors to seep in. Add water and kasuri methi and pressure cook the pulao until 3 whistles or 15 minutes. Take it off heat and let it rest before you open the lid for the pressure cooker. Serve it with a simple salad, pickle, dal tadka and cumber mint raita. One work days, simpler the meal the better!